Lovely white pearl and salmon pink cabochon ring. 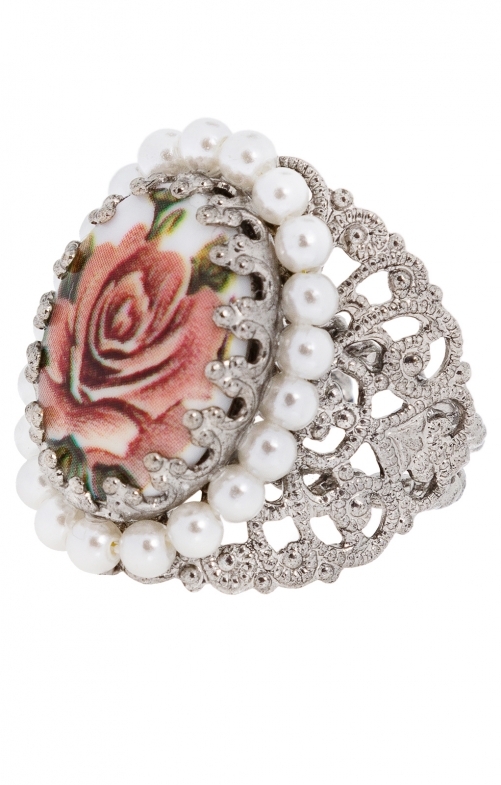 This splendid and elaborate ring features a salmon pink rose cabochon enclosed with delicate white pearls set in ornate silver filigree. Wear it alongside your salmon pink necklace from the same collection, and enjoy the compliments and the admiring looks this Oktoberfest. Pair it with a lace Dirndl blouse, and let it complement your Trachten outfit. Sehr schöner Ring, Größe flexibel, passt gut zu anderem Perlenschmuck und Blüten-Haarkranz.